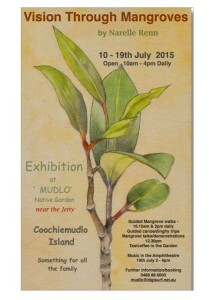 Coochiemudlo Island is a very special island located south east of Brisbane with beautiful sandy bush beaches. 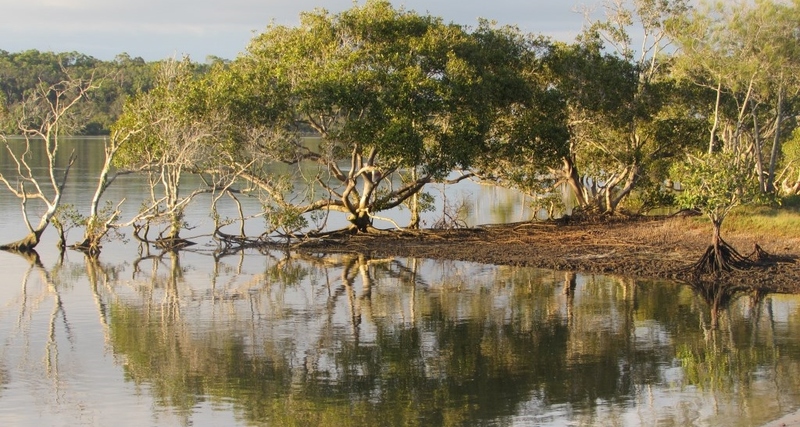 Many of its residents Canoe & Kayak, enjoying the rich selection of mangroves that cover two thirds of the Island. 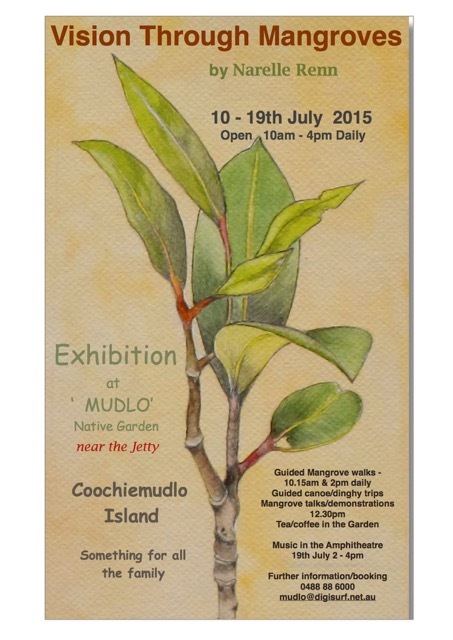 Coochiemudlo Island invites all Canoeists & kayakers to come out to Coochiemudlo Island for the ‘Vision through Mangroves’ exhibition by Narelle Renn being held from the 10-19th July 2015. 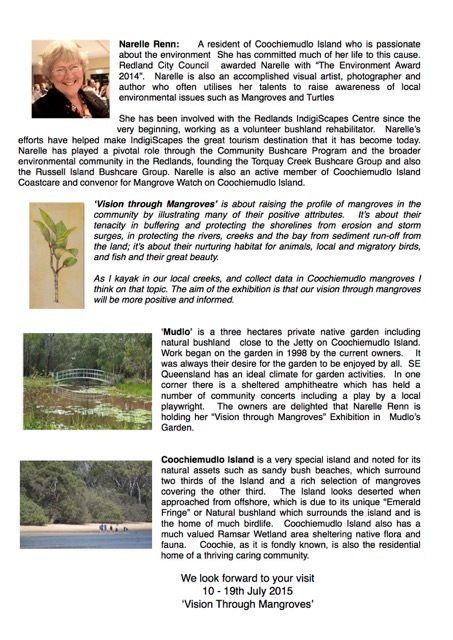 Guided Canoe trips, talks, demonstrations & mangrove walks will be held throughout the exhibition in the aim to raise awareness of the importance of our local environment & illustrate the positive attributes of mangroves. For more details please see the below flyer. 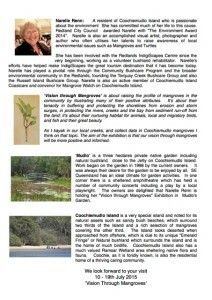 The island can be reached either by Ferry, or Canoe/Kayak and would be a great event for the whole family.